2014 Adiva Cargo 3. Picture credits - Adiva. Submit more pictures. 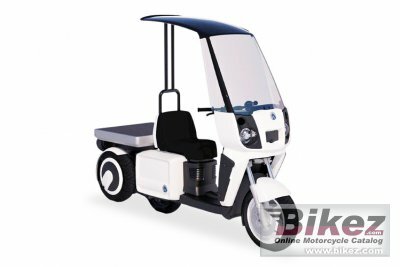 Comments: Electric cargo bike sold in Japan and Italy. Lithium-ion battery LiFePO4, 3Ah. (LiFePO4 lithium iron phosphate.) Winter tyres available. Large windscreen with roof. 60 kg payload. Ask questions Join the 14 Adiva Cargo 3 discussion group or the general Adiva discussion group.